Education and Training Pathways of Youth Workers in Helsinki 20th – 22nd February 2019. The Education and Training Pathways of Youth Workers seminar serves the implementation of the Recommendation of the Committee of Ministers of the Council of Europe on youth work adopted in May 2017 (CM/Rec(2017)4). The recommendation applies to youth work in all its diversity. 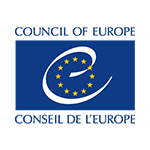 The recommendation encourages the Council of Europe’s 47 member states to develop their youth work policy and practice and to adopt measures that support youth work from local to European levels. The member states are invited to establish a coherent and flexible competency-based framework for the education and training of paid and volunteer youth workers. The seminar provides a forum for the local, regional and national authorities responsible for the development of youth work in their countries, professional/paid and voluntary youth workers, youth work educators and trainers, researchers, and young people and NGOs active in the youth work training to contribute to the development of the competency-based framework. The seminar will be organised within the framework of the Finnish Chairmanship of the Committee of Ministers of the Council of Europe.